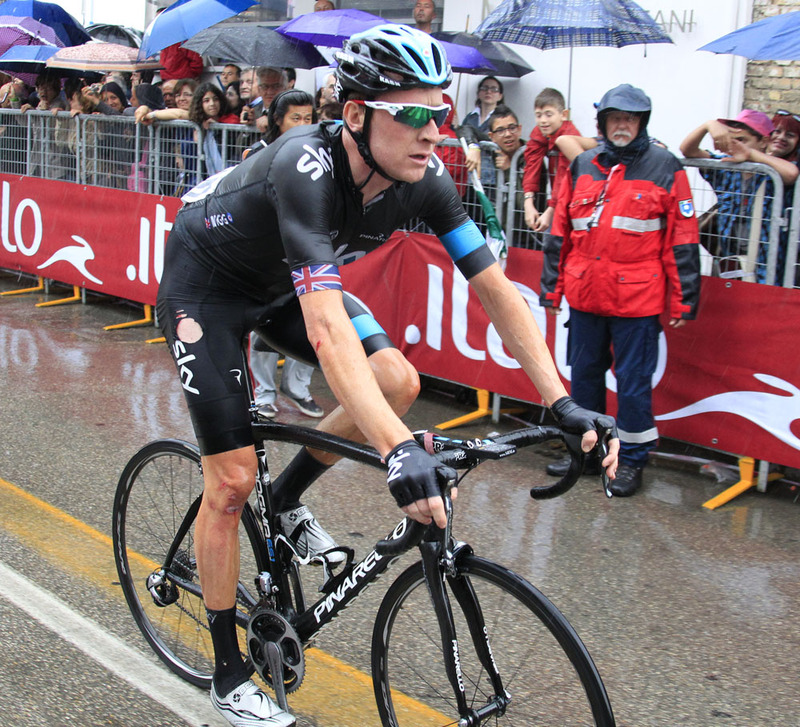 Bradley Wiggins (Sky) lost more time on his key rivals in the Giro d’Italia after crashing on the rain-drenched roads of stage seven to Pescara. Wiggins lost control on a treacherous descent inside the final 10km of a tumultuous stage, hitting the tarmac and gingerly making his way to the finish over one minute down on Ryder Hesjedal (Garmin-Sharp), Vincenzo Nibali (Astana) and Michele Scarponi (Lampre-Merida). classification going into tomorrow’s highly anticipated time trial stage, 1’27” down on second place Nibali. It was a day that lived up to its billing as having the potential for a GC upset. 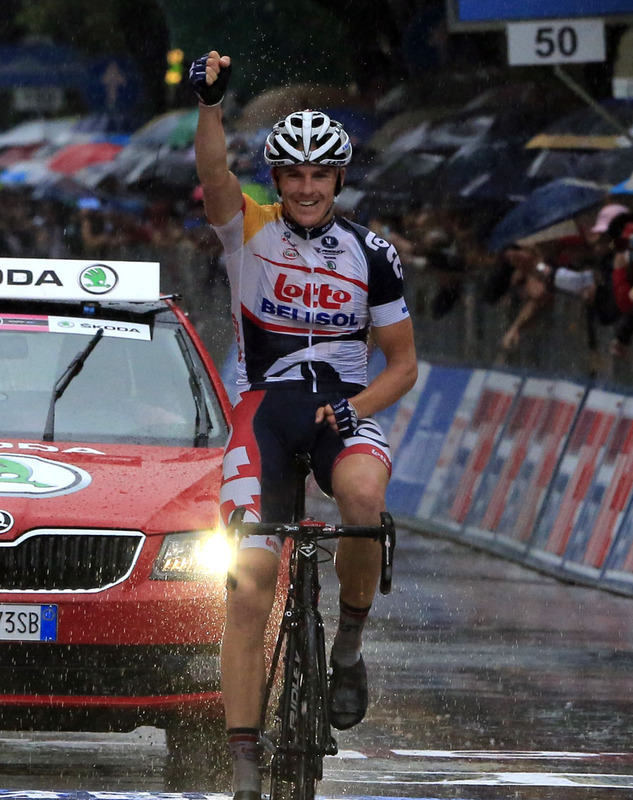 After Hansen surged clear with 25km to go and the rest of the day’s break had been swallowed by the bunch, riders began dropping like flies on the slippy, sinuous roads through the South of Italy. 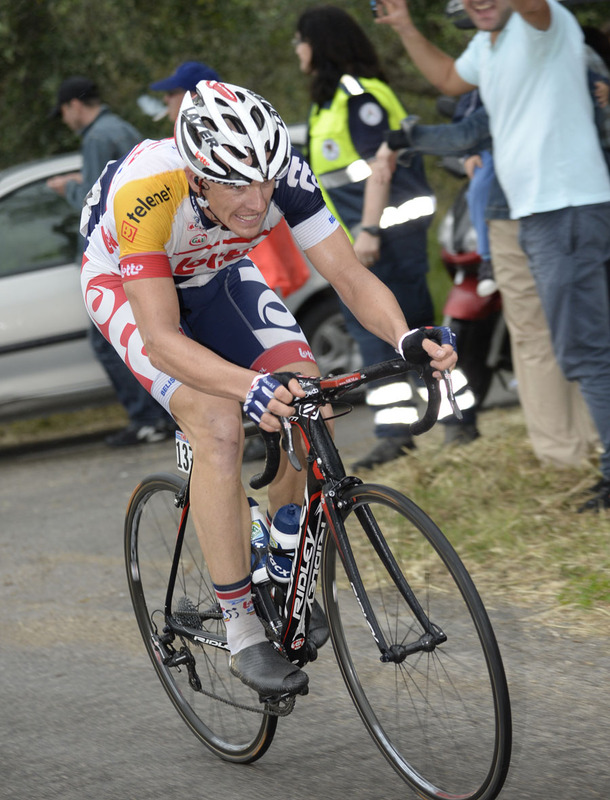 Nibali was the first to push it on a corner, pushing it too far and completing part of the descent somewhat closer to the ground than he’d initially anticipated. 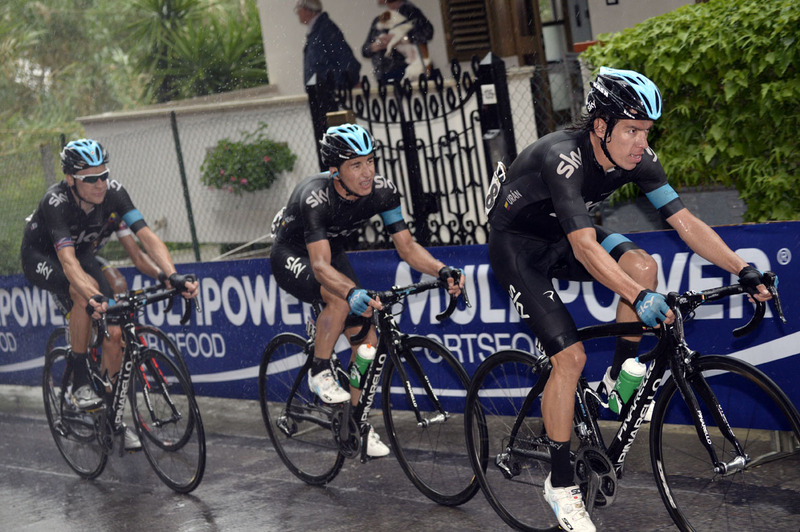 Yet Wiggins, along with Sky teammates Rigoberto Uran and Sergio Henao, came off the worst of the favourites. The Olympic champion looked to be in some discomfort once he remounted, with his right knee and elbow appearing to be the source of the pain. Only time will tell how seriously the crash and lost time will affect Wiggins’ chances in the all important time trial tomorrow. 10. 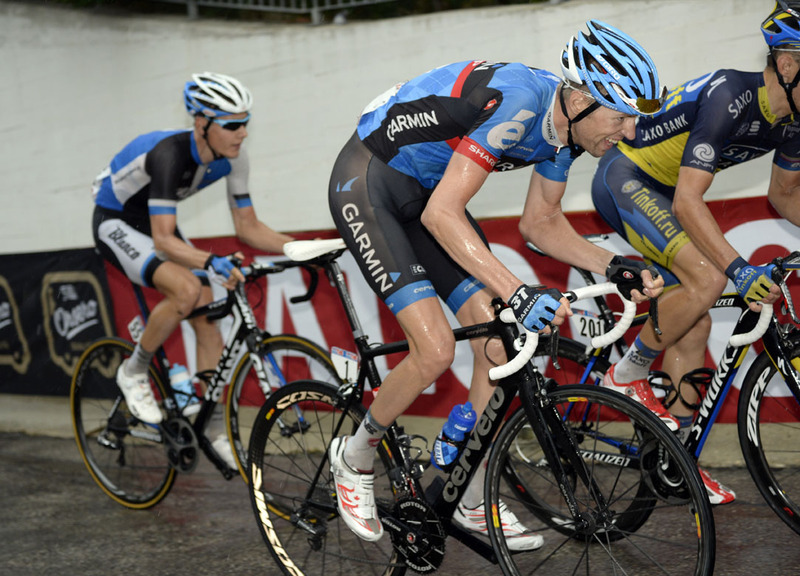 Ryder Hesjedal (Garmin-Sharp) all at s.t.